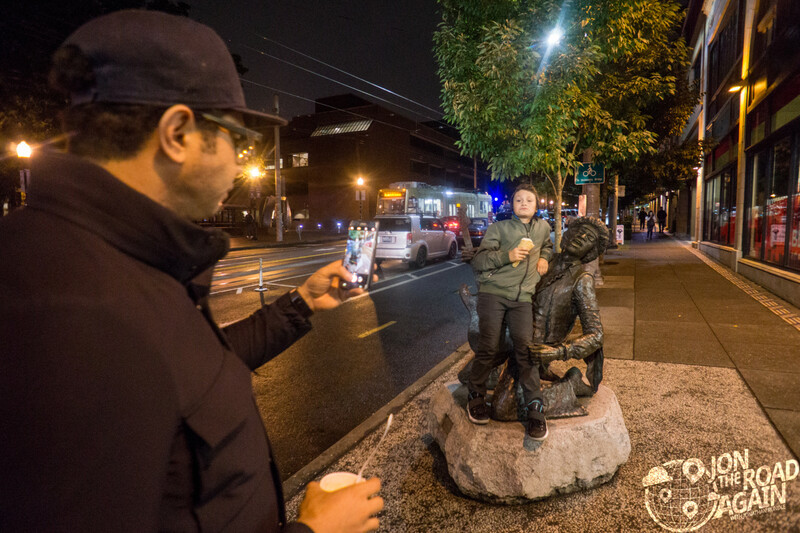 Jimi Hendrix is one of Seattle’s most famous sons, so there are quite a few places you can visit in the Seattle area that are Jimi-related. 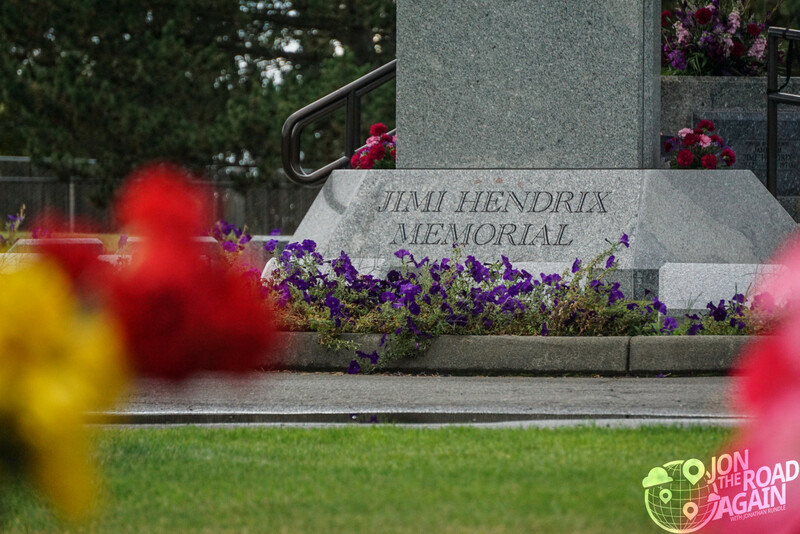 With the anniversary of Jimi’s death coming on September 18, I decided to visit a few of these sites related to Jimi Hendrix in Seattle. 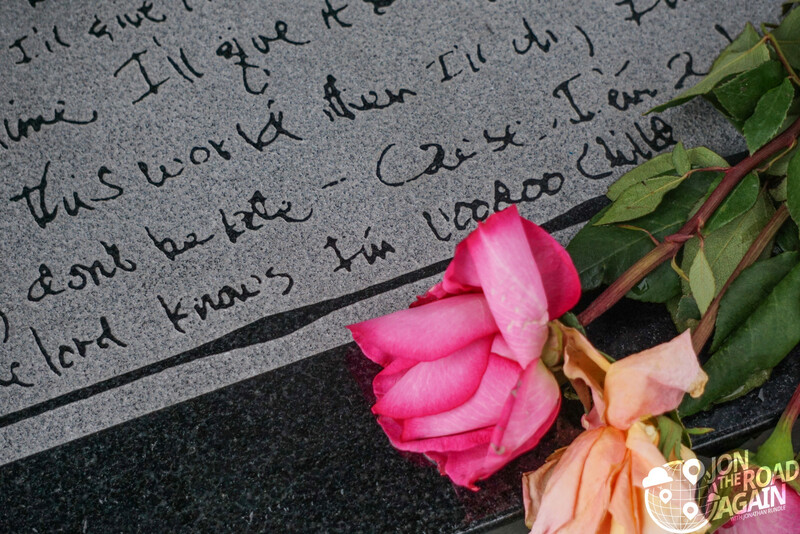 Opened in 2003, the Jimi Hendrix Memorial was a project spearheaded by his father Al. 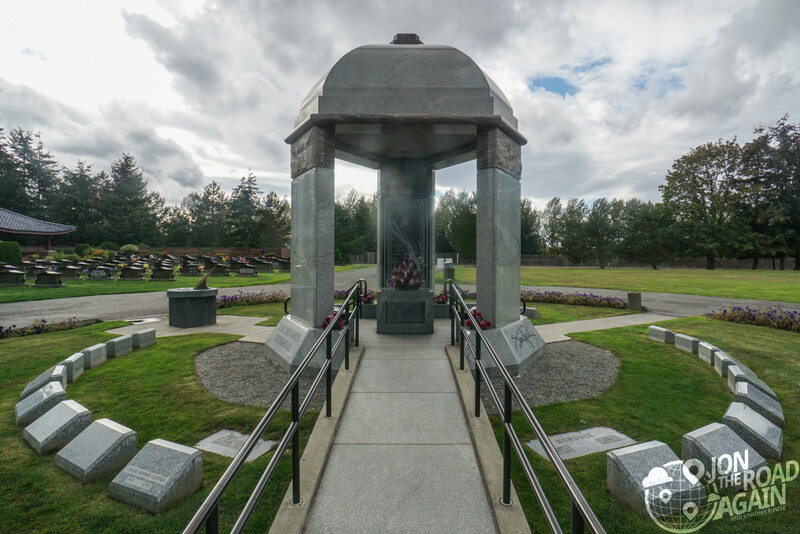 Originally buried in a normal grave at Greenwood Memorial Gardens, Al wanted to create a monument worthy of his son’s musical legacy. Unfortunately Al didn’t get to see the completed project—he died two months before it’s opening. 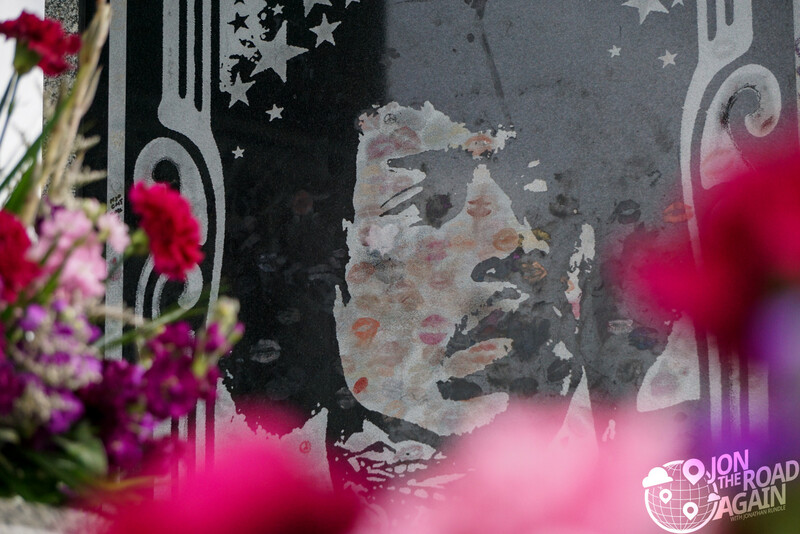 On each of the walls of the memorial, there are etchings of Jimi’s likeness along with lyrics from his most famous songs. The center of the monument was supposed to house a statue of the guitar god, but it has never made it to the spot—if it even exists. 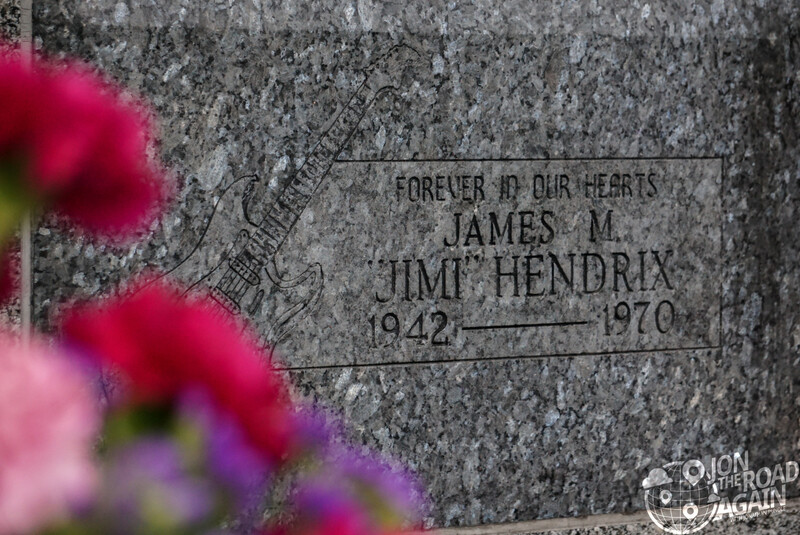 Much of the Hendrix estate has been contested among the family members and many suggest the statue remained in limbo as a result of that family discord. 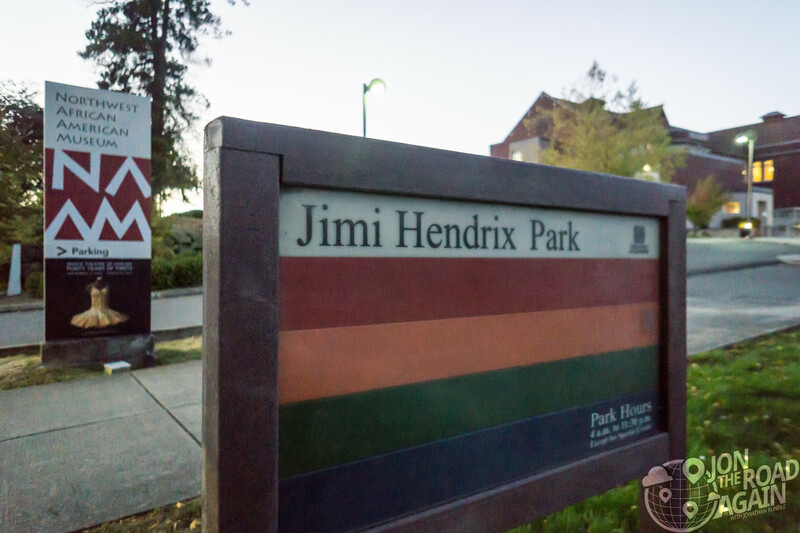 The Hendrix’s home in Seattle is now the site of a couple of town homes. At the time of their construction (2001), the original home was moved from that site to an open lot directly across the street from Greenwood Memorial Gardens. The plan was to turn the home into a museum, but after a few years the house was never fixed up and the city ordered it’s destruction (2009). 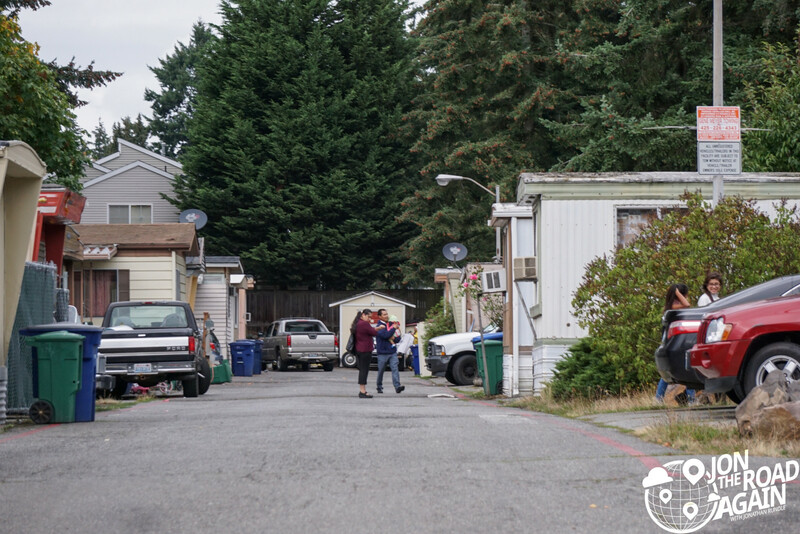 Now, the lot is a mobile home park. 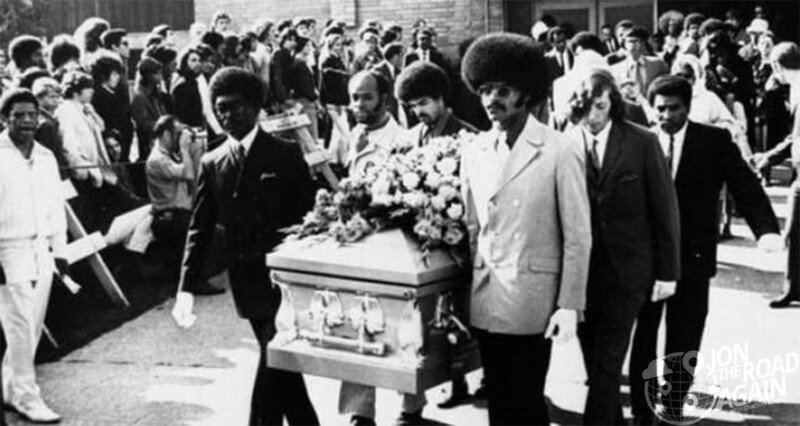 Jimi died in London, but the family had him returned to Seattle for a ceremony and burial. 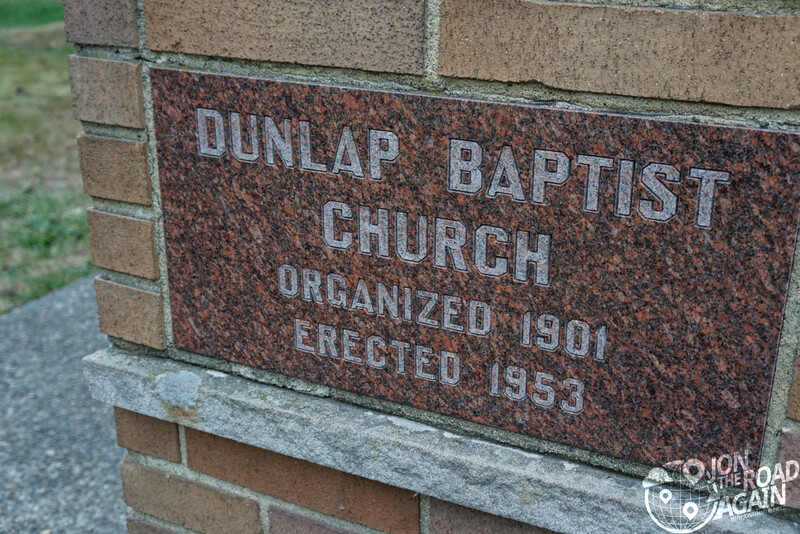 The former Dunlap Baptist Church is now the Medhane-Alem Evangelical Church. Still there, still basically the same. 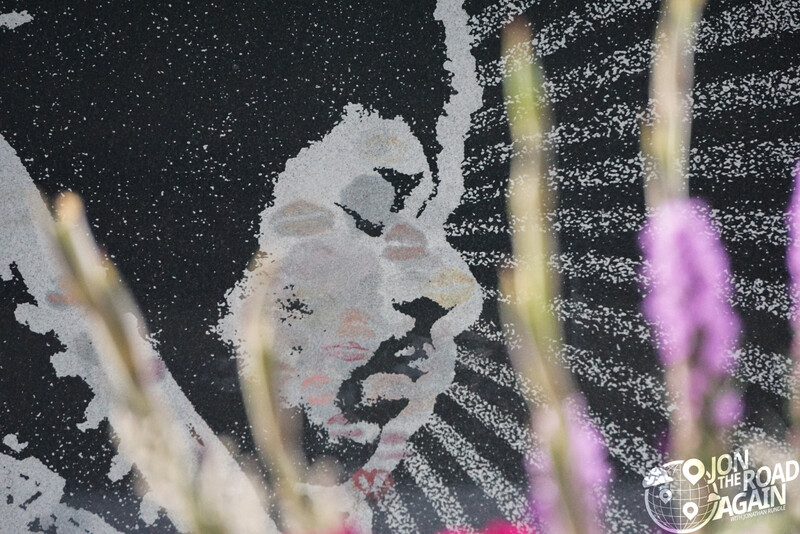 In the Central District, just up from the church, is Jimi Hendrix Park. While not much is there now, the park is in phase one (of two) of a multi-million dollar renovation. 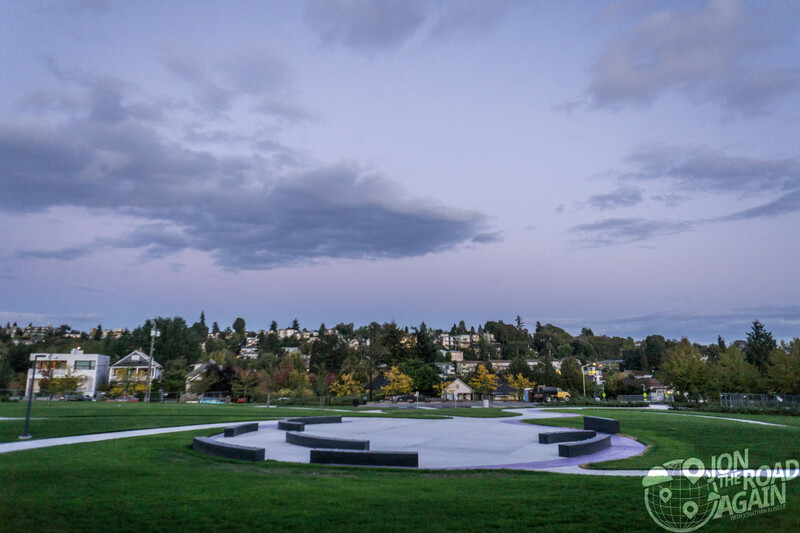 When I visited in September 2016 the park was still under construction, surrounded by chain link fence and covered by a purple sky. 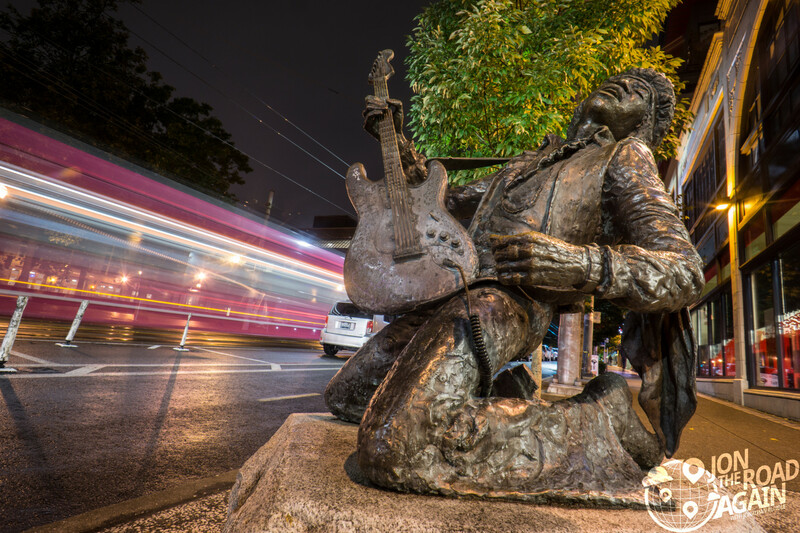 The main Hendrix attraction in Seattle is his statue on Broadway in Capitol Hill. AEI Music tapped local artist Daryl Smith whose shop was based in the Fremont neighborhood. Hendrix’s pose is from the 1967 Monterey Pop Festival where he famously lit his guitar on fire. Hendrix was left-handed, but played a right-handed guitar strung backwards. A detail the artist got right. AEI Music is long closed, but Jimi’s been here since 1996. 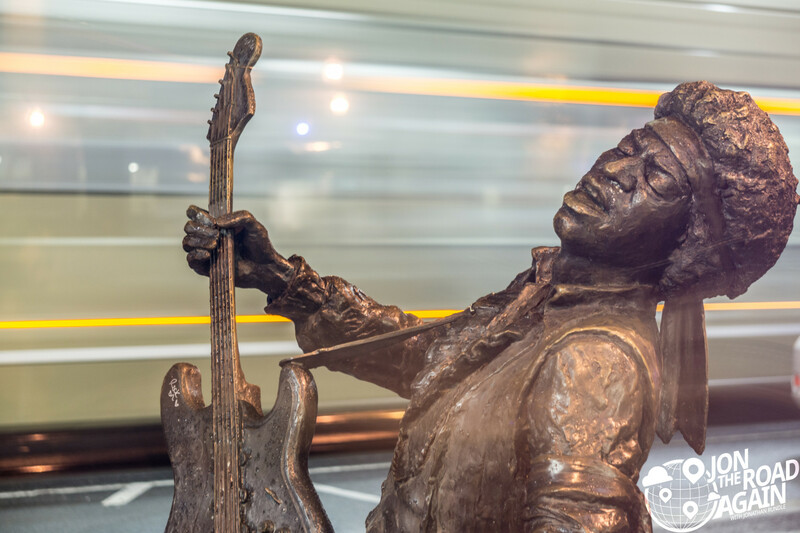 Bronze Jimi still attracting fans 20 years later. 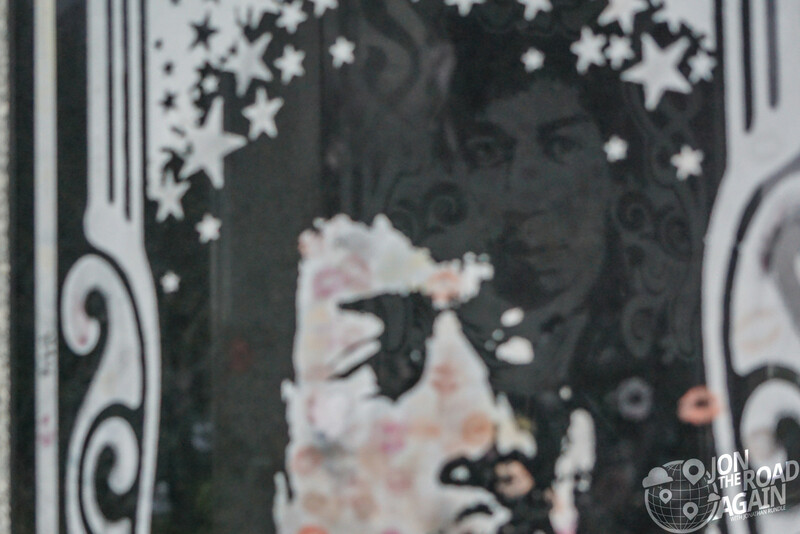 If you’re looking for a few more ways to get your Jimi fix, visit MoPOP (formerly the EMP). 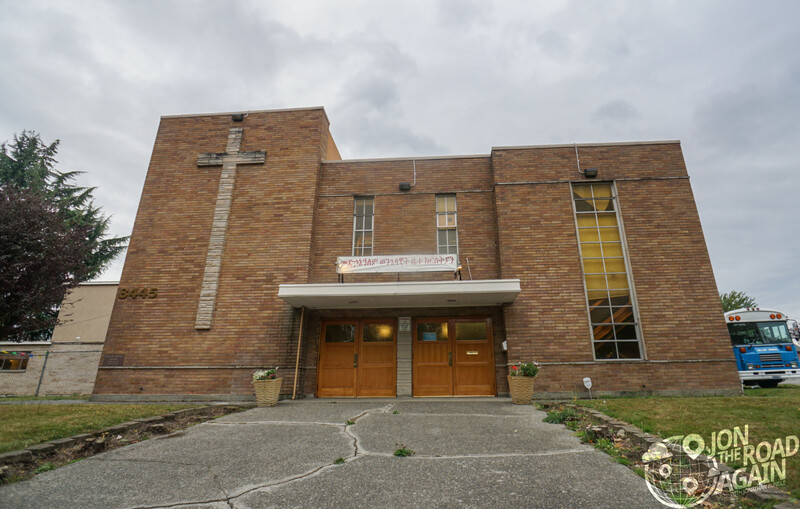 Also, you could visit Garfield High School, where Jimi was expelled for poor grades and spotty attendance. Other notable alumni from Garfield are Quincy Jones, Bruce Lee and Macklemore.